Lisa Baker is a public relations consultant and community volunteer in Ann Arbor, Michigan. Lisa has provided public relations counsel to universities, public figures, and a variety of nonprofits. She chaired successful fundraising efforts for the American Red Cross (Washtenaw County Chapter) and Child Care Network. She served as chairperson and member of the Board of the United Way of Washtenaw County, Michigan. Lisa and her husband, Jim, are co-chairs for Washtenaw United Way’s Leadership Giving Association for the 2017 Campaign. 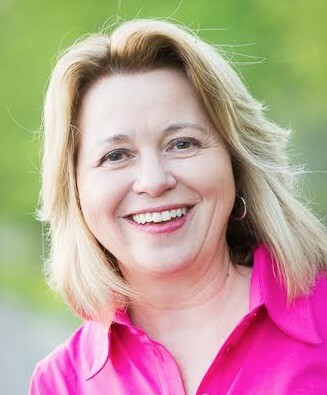 Lisa’s other service includes past membership on the Boards of Emerson School, the Ann Arbor Area Chamber of Commerce, the Ann Arbor Summer Festival, the Washtenaw Development Council, and the Michigan Environmental Council. She served on the Leadership Council of the Center for the Education of Women (CEW) at the University of Michigan and was a member of the search committee to recruit the Center’s director. She served as a member of the Distribution Committee for the Ann Arbor Area Community Foundation. Lisa held the position of Associate Vice President for University Relations at the University of Michigan until 1999. She led the management cluster that included News and Information Services, Presidential Communications, Marketing Communications and University Events. She was a principal spokesperson for the University and responsible for a number of communications initiatives. Prior to coming to the University of Michigan, Lisa spent ten years working in government and media relations in Washington, D.C. She began her Washington career as staff assistant to Congressman James T. Broyhill of North Carolina in 1979, and became special assistant to Senate Majority Leader Howard H. Baker, Jr. in 1981. In 1984, she was named Director of Government Relations for the American Business Conference, and a year later became Director of Communications for that association of chief executive officers of some of the fastest growing midsize companies in the United States. Lisa received her B.A. in English from the University of South Carolina. She attended Presbyterian College in South Carolina as a Presbyterian Scholar.